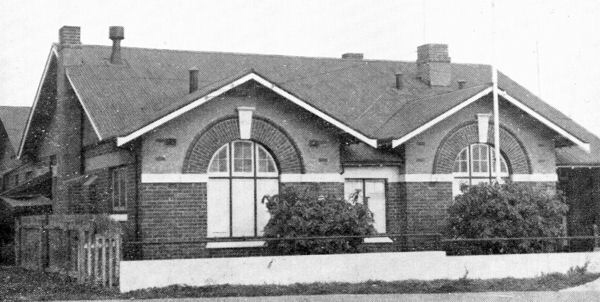 The Smithton Club was officially opened on Wednesday, 12th July 1922 at 8 p.m., when the president (Mr. G. Acheson) and the committee welcomed and entertained the members and several visitors. After extending a hearty welcome to those present, the president stated that some of the member's had not been in touch with the committee, and naturally would like to know how the money had been disbursed. On account of the building, £1000 had been paid, and they were holding back £20 for a special purpose. This money was subscribed in two nights. For the land £145 had been paid, and £135 as a deposit on the billiard tables, and for the furniture £150 had been paid. The club building was a credit to the town and district. In that building many friendships would be cemented, and business could be discussed in a social manner. He was pleased to see his old, friends, Messrs. Belton, Hurst and Murdock present. The two men who had worked hard to get the present fine building were Dr. Franklands and the indefatigable secretary (Mr. E. Bonhote). They were great optimists, and they were backed by Mr. E. H. Fenton and the committee. Personally, he intended letting someone else take the position of president, but he found that, according to the rules, he automatically became president for another 12 months. So long as he was president he would see that the club had a clean sheet, and that its members strictly carried out the rules. He had much pleasure in declaring the club officially opened. The toast he had to propose was that of "The Club". Clubs were great institutions; there was no embargo on the subject to be discussed. Unfortunately they had no club in Wynyard, and he wished the Smithton Club every prosperity and a long and successful career. In this municipality there was a little friction, but they should all pull together and do their best for the district. The toast was musically honoured. Dr. Franklands, in replying on behalf of the club, said he would like to make a remark concerning the foundation of the club. Mr. Ernie Fenton had as much to do with it as anyone. They were both recent arrivals in the district, and saw that a club was wanted, and now they had got it. The townspeople could now meet socially and exchange ideas, as the club was most democratic, all being welcome whether wearing dungarees or dress clothes. They had chosen their president with great care, and he hoped that his reign would be a long one, and that he would strictly carry out his duties. Mr. E. H. Fenton said he could add very little to the doctor's remarks. He and the doctor had arrived at the conclusion that no town on the Coast needed a club more than Smithton did. From the first move the venture never hung fire, and they felt they had accomplished something to be proud of. One of the objects of the club was to create temperate habits, and he hoped that the club would meet with the success that if deserved. The toast of "The Visitors" was next proposed by Mr. E. Bonhote, who stated that it gave him great pleasure to see such a large number in their imposing edifice. 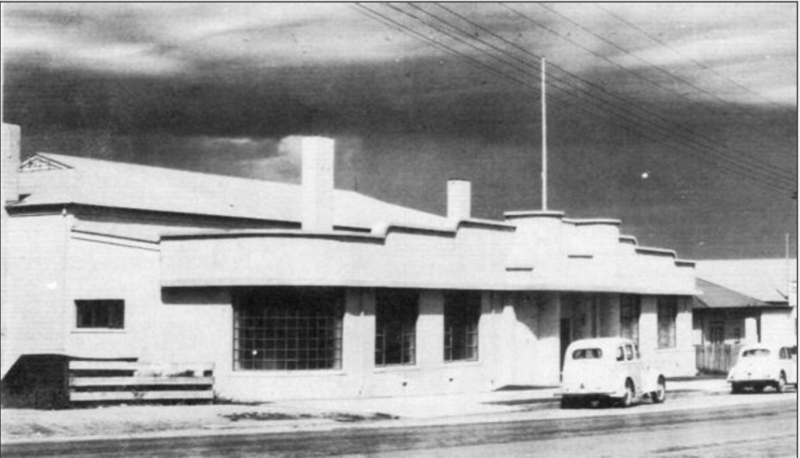 The progress of the town and district warranted the erection of the building, and the club would help to make the district. Tasmania had been developed from the wrong end, a start should have been made at Smithton. They were honoured in having so many distinguished visitors present, and he was pleased to see his old friend, ''evergreen,'' Belton, who was one of Smithton greatest friends. Smithton was part of "the lost province;" which had now been found and put 'on the map'. Its potentialities were enormous. He was also pleased to see Mr. Hurst and Mr. Murdoch, and congratulated them on their election, and also on their visit to "The Garden of Eden of Tasmania”. He also welcomed Mr. W. F. Stewart, of the Northern Club, and M. T. Murchison, of Hobart. Mr. Jas. A. Hurst, M.H.A., said it gave him great pleasure in being present. He intended doing all he could in Parliament for Tasmania in general and Darwin in particular. Hon. P. Murdoch said he had never experienced such kindness as had been showered upon him in Smithton and district. He had seen some of the potentialities of the district, and their fine butter factory and club buildings were evidences of prosperity. Mr. W. P. Stewart, on behalf of the Northern Club stated that club life promoted a better social feeling, and was really a home from home. He thanked Mr Bonhote and members for the kindness to him. Mr. M. G. Murchison, of Hobart congratulated the members on their fine rooms; and the billiard room was the best he had seen. Mr K., Laughton, of Stanley, congratulated the members on their enterprise and taste. There was a friendly rivalry between Smithton and Stanley and so long as there was no bitterness, rivalry was a good thing. Messrs. Belton, Mulcahy and Whitsitt had worked hard since 1901 in the interests of the district. Mr. Belton suggested, that they try and arrange with the Hon. Peter Murdoch to get some of the Southern members to visit the Circular Head district. The toast of "The President" was capably handled by the Rev. May, who said their worthy president had been selected with great care and thought and they were not going to allow him to drop out, after he had carried through the preliminary work and held the club together. He was sure the club would prosper under Mr. Acheson, and he hoped that he would long hold the position. The president, who was received with applause, thanked them all sincerely. Mr. Laughton had mentioned one little matter, and that was that rivalry was a good thing. He agreed so long as there was no sting. He sincerely thanked Mr. Laughton for what he had said that night. This concluded the opening function and the members admired the massive and handsome oak upholstered furniture, which was supplied by A. Betteridge, of Smithton. Description: Postcard view of Smithton (Gentlemen's) Club on Smith Street, Smithton, Tasmania. The club was formed in 1922 with a membership of 68 for 'the association of Gentlemen and was a social centre for channelling members into civic service'.